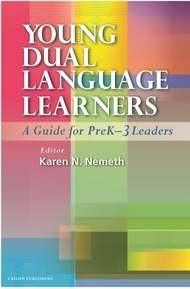 Karen N. Nemeth is a consultant and website provider (www.languagecastle.com) focusing on improving early childhood education to meet the needs of young dual language learners. She has published numerous articles and resource materials for schools and teachers. Her prior experience includes working with public and private schools, colleges, and nonprofit organizations.